Espresso is made from the same coffee beans used to prepare coffee. The difference lies in the process of how the Espresso is made. In this post, we’ll see how to make Espresso using an Espresso Machine as well as without the Espresso machine. Espresso is not just a beverage that you drink to keep you awake. Albeit, many of you might see it that way because you are yet to be enlightened with the benefits that Espresso provides. One of the widely accepted benefits of Espresso is it boosting your life expectancy. And it’s not just something that we pulled out of a magicians hat. There are many studies that have proven this to be true. While we search for different methods and ways to make a cup or an Espresso shot there’s only one perfect way to get the exact Espresso taste and it is by using the Espresso Machine. The alternatives that we see today will assist you in making an Espresso shot at home, or you’ll at least make something closest to the Espresso shot. But don’t knock it until you try it. We can’t all have Espresso machines at our homes but we can manage to make an Espresso with a Moka Pot or with an Aeropress. Espresso Machine, portafilter, a tamp, few cups, fresh finely grounded coffee beans, purified water, Coffee bean grinder. The process might turn out the be even lengthier if we decided to get into the types of coffee bean to use. You have to make sure that the coffee beans are neither too fresh nor too old. Use coffee beans that were roasted a week or 12 days earlier. Step 1: Start by grounding the coffee beans. Step 2: The Espresso Machine has to be turned on at least 15 minutes prior to using it. Now, add purified water to the espresso tank if it is not connected to a water source. Step 3: Clean the portafilter before using it. Add the grounded coffee beans into the Portafilter. 7 grams of grounded coffee beans should be enough for a cup of espresso. Step 4: Now, use the tamp to create a neat puck of Espresso by pressing the tamp. Once you have created a puck attach it to the Espresso machine. If you keep the portafilter lying around it’s bound to come in contact with something and cracks will appear in the puck. Step 5: Place a glass or cup underneath and then start pulling the Espresso shot from the Espresso machine. 20 seconds is enough for a single espresso shot. Step 6: When you see the color of shot turning light turn off the espresso machine. That is all it takes to make a cup or a shot of Espresso using an Espresso Machine. Before we begin with the ways to create Espresso without using an Espresso Machine let’s get one thing straight, the Espresso created with these alternate methods is not exactly the same as Espresso. But it is the closest thing to an Espresso you’ll ever make without an Espresso Machine. 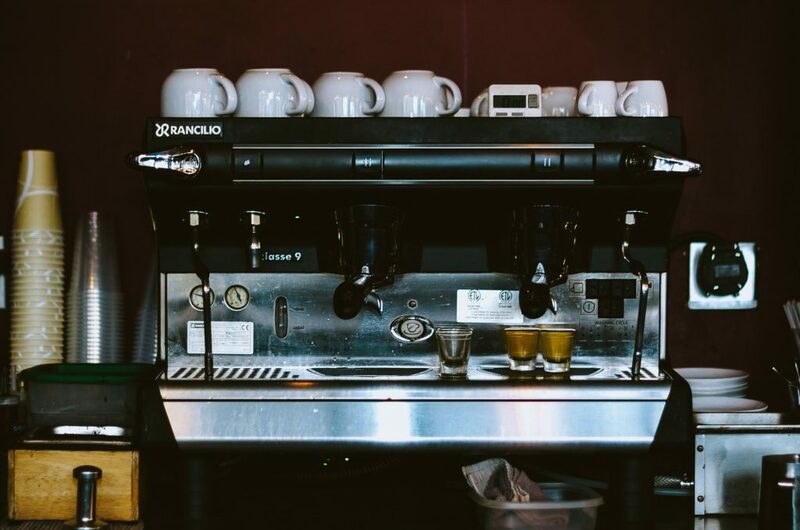 We are stressing this because many of you might go into it expecting the Espresso to turn out the way it does when we use an Espresso machine to create an Espresso. Make sure that the coffee beans are not too finely grounded. In case of a Stovetop Espresso, you need the coffee ground to be a little coarser as compared to the finely ground coffee beans. Also, don’t forget to pour hot water and warm the cup you’ll be using to serve or drink the espresso. Step 1: Add cold water to bottom chamber of the Moka pot just till the steam release valve. Step 2: Now, you can ground the coffee beans into an almost fine powder. Then add the grounded coffee beans into the basket, fill it. Step 3: Join the bottom chamber to the upper chamber. Don’t touch the handle just turn it and screw it tight by touching the upper chamber. 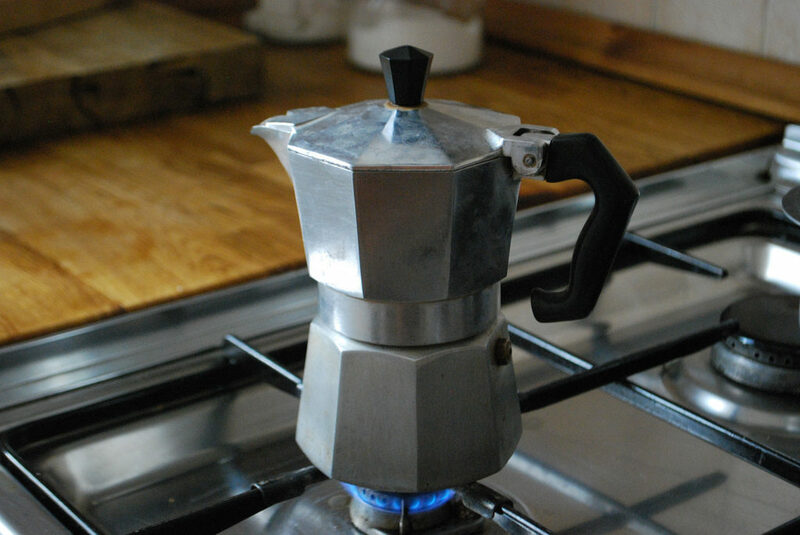 Step 4: Once the Moka pot is closed, place it on a stove on a medium heat. Heat it for 3-4 minutes but don’t let it boil. The hot water in the bottom chamber forces the steam to the bottom funnel through the coffee in the basket and upwards through the small column in the top chamber. You’ll hear the top chamber filling with coffee as it makes a bubbling sound. Step 5: Wait till the noise stops and then take the Moka pot off the stove. Keep it aside for a little while. Now stovetop espresso is ready to be served. A glass, Aeropress, Aeropress filter, An Aeropress Espresso Tamper, Finely Ground Coffee beans. The finely ground coffee beans are one of the important ingredients of an espresso shot. So, it is a must. Place the filter in the Aeropress at the end of the Aeropress chamber. Once the Aeropress is ready, add few scoops of finely ground coffee beans to it. Meanwhile, boil a few cups of water. Next, we’ll use the tamper to tamp the coffee beans in the Aeropress and apply pressure to the grounded coffee beans. Make sure that you don’t press too hard just because the Espresso machine applies a lot of pressure. Use the tamper a few times and press it until you get a puck that has a resemblance to the one created by an Espresso Machine. Step 3: Pour the hot water in the Aeropress over the tamper. 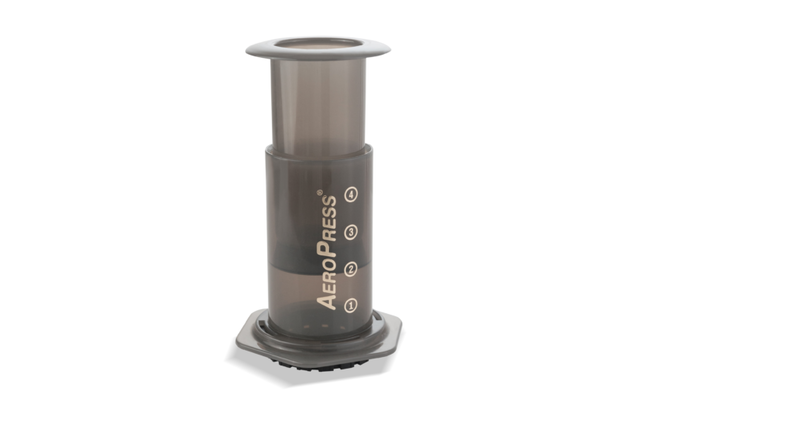 Step 4: Now, place the Aeropress plunger over the Aeropress chamber and press it downwards. This is how you make an Espresso with an Aeropress. 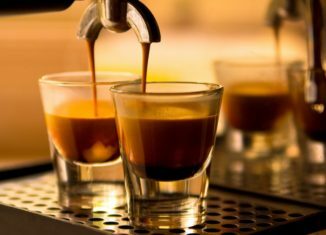 These are not the only ways to take care of your Espresso withdrawals but these 3 methods are the most effective ways to make a cup or a shot of Espresso.